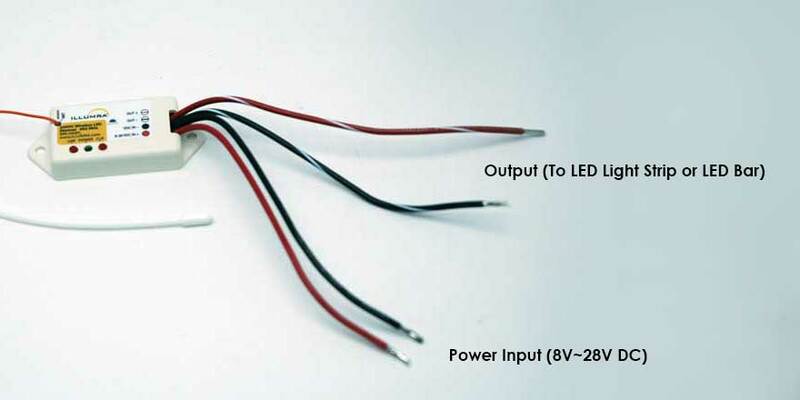 902 MHz- Constant Voltage LED Dimmers deliver 65,000 PWM dimming steps to provide ultra smooth dimming performance through all light levels. 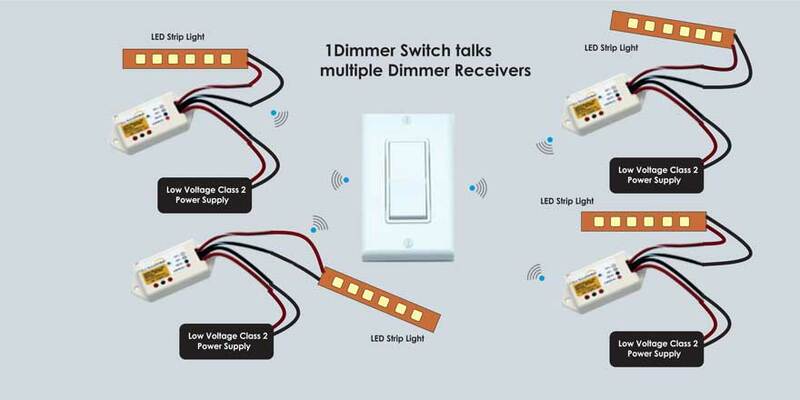 These tiny dimmers are 1/2 to 1/4 the size of other LED dimmers and overcome a major challenge faced by traditional LED dimmers; the devices eliminate the issue of choppiness at low dim levels. 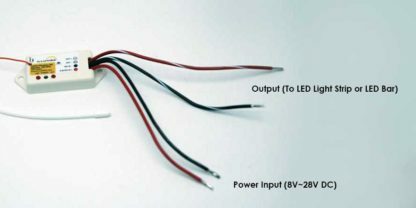 Through the use of thousands of PWM dimming steps, the ILLUMRA Constant Voltage LED Dimmers create what is perceived by the natural eye as a single continuous dim — even at low light levels. 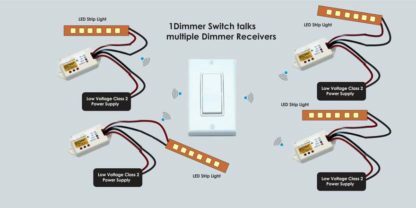 The dimmers are perfect for energy-saving applications such as architectural dimming, daylighting, load shedding, and manual ON / automatic OFF control. The dimmers may also be used for custom lighting applications. 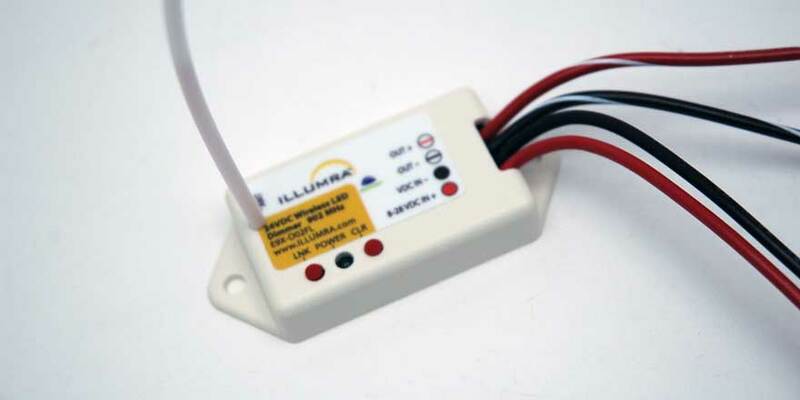 The wireless Dimmer (E3X-D02FP) responds to self-powered wireless light switches, self-powered wireless sensors, wired sensors, and wired switches. 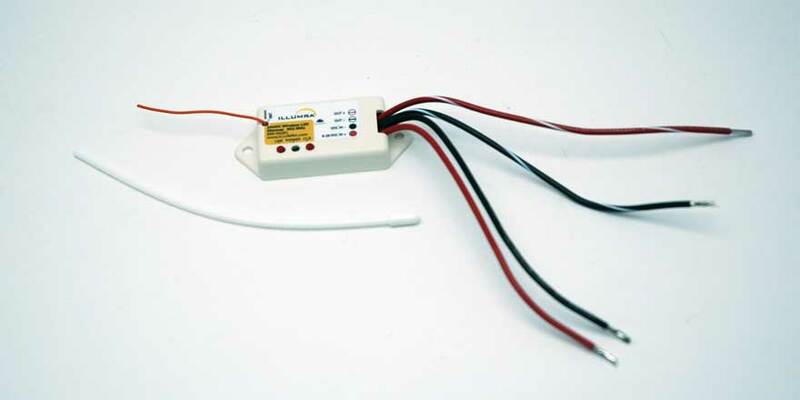 Output Rating Constant voltage 0-28VDC, 5A max.